Home Bible Reflection Is it still Joy to the World? Last night, I had the opportunity to sing the Christmas carol “Joy to the World.” Perhaps it is so in every time, but it is certainly true in this time that we are in desperate need of a reason for joy. While singing, I thought of how the climate in which the announcement was made bears similarities to our own time. The nation of God’s people was an insignificant outpost and client state of the world power of the day. They were taxed into poverty. Israel was ruled by Herod, a man who would kill anyone who threatened his position or authority. The religious leaders were little better. While Herod and the Romans oppressed the people physically, the religious leaders oppressed them spiritually. 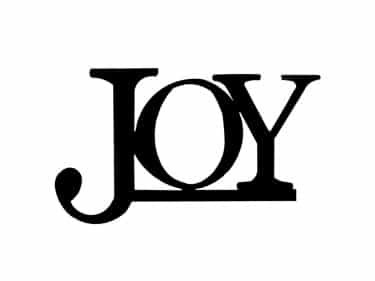 In reflecting upon this, I observe that the announcement of joy did not affect the circumstances of the day. But it did change the way those circumstances were viewed by those who heard and understood the announcement. It gave the hearers new perspective and it should have the same effect in 2015. Terrorists will continue to plot cowardly attacks on innocent people. Government officials will continue to pass laws they haven’t read and don’t understand so that they can remain in power and luxury. Some church leaders (thankfully not all) will be more concerned about their own reputations and security than they are about helping their congregants to maturity. Society will be increasingly intolerant of anyone who believes that Jesus was correct when he claimed to be the only path to God. The list of things that cause us alarm is seemingly endless. Yet, the tiny babe who we celebrate at Christmas grew up to be the one who destroyed the power of sin and death. He is the one who will one day put all this mess back in order. If our hope was only a distant one, if the timing of that hope is perpetually “some day,” then we would struggle to find joy in the announcement. Instead we find that if we are open to seeing it, Jesus is making things right one heart at a time. Each of us, who follow Jesus and are in relationship with him, can see in ourselves the retaking of ground lost in the fall. We are less selfish, more loving, less fearful, more patient, more joyful, and more peaceful. We can look back and see the progress (even though we may feel like we should be so much farther along). We also see this effect in other believers and are encouraged by their progress. Despite all the bad things that have happened in 2015, we can still find joy in the announcement that came to those shepherds. With them we can celebrate the coming of the one who is fixing this mess and will one day come back to complete what he has begun. It is indeed Joy to the world.